James Newlands joined MHBC in 2017. James assists in the research and planning analysis for the preparation of applications and reports for development approvals and aggregate resource projects. James also provides advice to private and public sector clients on a variety of land use planning issues. James brings agricultural and rural land use planning experience to the firm through his graduate research work at the University of Guelph. 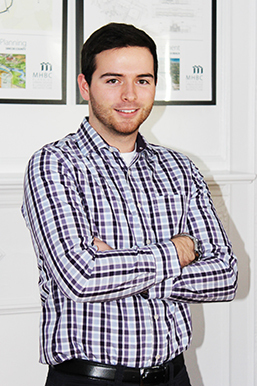 Prior to joining MHBC, James gained work experience in the public sector at the municipal level. James received his Honours Bachelor of Commerce from Lakehead University in 2015, and his Masters of Science in rural Planning and Development from the University of Guelph in 2017. He is a pre-candidate member of the Ontario Professional Planning Institute.